Arranging a party for family and friends or attending a party of New Year’s Eve in public and crowded places for each years might be sounds so boring. Now, who says that DVD night with your bestfriends cannot be fun? Go grab popcorns, snacks and Cokes, here’s the list of movie to watch for New Yeat’s Eve night! We’re all agree that Leonardo Di Caprio’s acting will never make us disappointed. 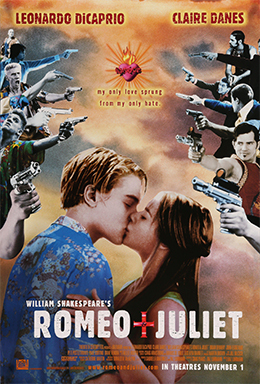 Forget about Titanic or Great Gatsby, but have you watch this 90’s version re-make of Romeo and Juliet? One of Shakespeare’s most famous romance fiction story is such a timeless story. It’s classic plot will take you to a love story of Romeo and Juliet. Set in the gangs and gun culture of Verona Beach, the Capulets and the Montagues are two rival grew with generations of hatred between them. Then the story started with a party thrown by the Capulets, where Romeo Montague met Juliet Capulet for the first time. This movie was shot in beautiful and bizzare sets. Definitely a must watch! This 2012 drama comedy movie has started with Patrick ‘Pat’ (Bradley Cooper) Solitano who just came back to his parents’ house after 8 months treatment after he sentenced with bipolar disorder, after he caught his ex wife cheating with his own friend and nearly beat the man to death. But then everything’s changed when he met Tiffany Maxwell (Jennifer Lawrence). This movie has a simple plot but the twist and the chemistry between Jen and Bradley were so epic, which makes this movie received lots of positive reviews and criticals and also received 8 Academy Awards Nominations where Jennifer Lawrence won Best Actress in 2013 Academy Awards. 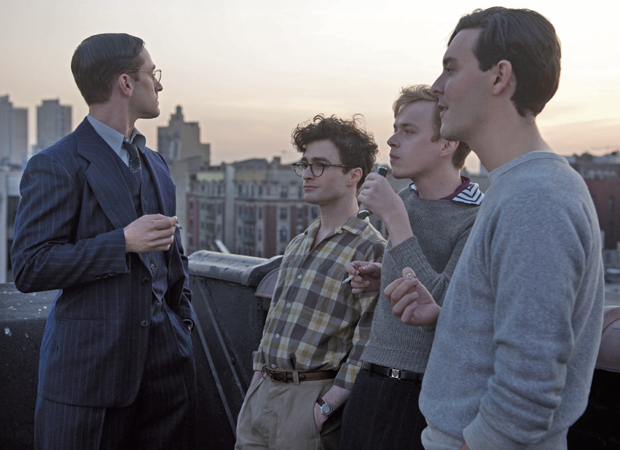 This biographical movie took place at Columbia University in 1944, when the life of a poet, Allen Ginsberg (Daniel Radcliffe) turned upside down when he sets his eyes on Lucien Carr (Dane DeHaan). Later, Lucien introduces his friends, William and Jack to Allen the 4 agreed to tear down the traditions and make something new that called Beat Movement. One day a man found dead where Lucien, William, and Jack are arrested in conjunction with the murder, the nascent artists’ lives changed forever. Daniel Radcliffe achieved lots of positive critical of his role as Allen Ginsberg as a writer and activist. This movie will also entertain us with DeHaan’s who played Lucien Carr perfectly. Ada Apa Dengan Cinta? Is a story between the main character, Cinta (Dian Sastrowardoyo) and Rangga (Nicholas Saputra). Contains teenage love, family issues and friendship, this movie called ‘resurrection’ of Indonesian movie. The plot that related to modern teenage life makes this movie are very easy to enjoy. It revolves around average people lives, which is convenient to relate to. In addiction, it also promotes Indonesian literature through poetry, interest in both of the main character. This movie will make us reminiscing our good old days in high school. Laughter, young and reckless love, also friendship. This movie would definitely be on our top list movie to watch by the end of this December. Happy New Year and Happy Holiday!